The next few months will see me winding down and packing up my teaching space in Helen St. It's time for me to downsize business into something more family-friendly and find a home with a garden. GJ's Discount Fabrics in Lygon St, East Brunswick, have offered me their beautiful big sunlit room to work in, and I've begun scheduling classes there. Unlike in my studio, interfacings and patterns are not included in the class fee, the refreshments are a little more limited, there may be more than 6 in the group and you won't be using all my consumable haberdashery products... but the good news is that the prices for these classes are lower than those of the boutique studio experience, and I'm quite used to teaching larger groups, so it'll still be absolutely fabulous! 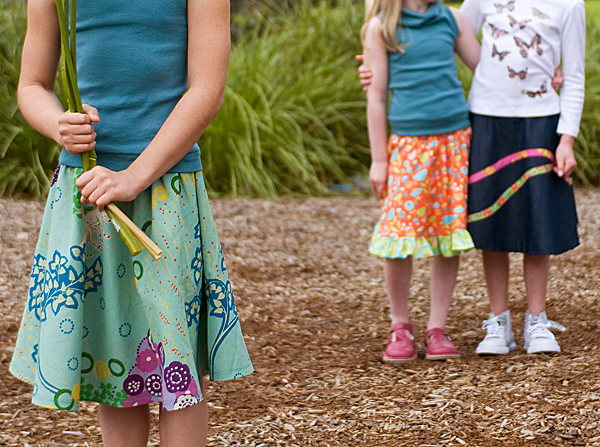 If you've seen the pattern-free skirts in my book and think it all looks like too much to work out, I'm going to run a workshop to completely demystify the whole formula and process. 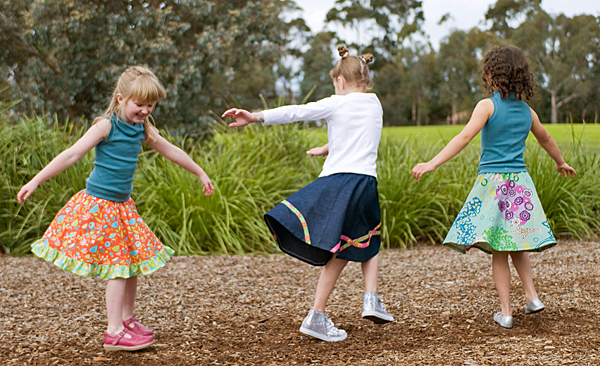 The workshop includes lots of hot tips for shortcuts and garment-making cheats methods that will have you whipping up beautifully handmade (not home-made) skirts for the little and big girls in your life. You won't need a lot of sewing skills for this one, although if you're a confident sewing gal who just wants to free yourself from patterns a little, this might be for you. Bookings HERE. Also from Le Book, but with new methods and products thrown in (I'm always developing things! ), I'll be running a short workshop on making belts for kids and adults. Here's one for beginners, or for anyone who thinks that a zip is a thing to be avoided.... 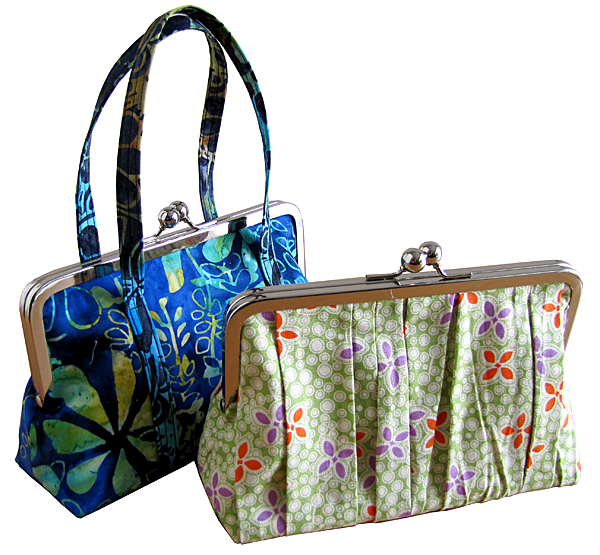 I can teach you to make fully-lined, zippered purses and pouches of all shapes and sizes! You can make all your Christmas gifts this year from fabric offcuts and fat quarters... toiletry bags, pencil cases, coin purses, luggage dividers, gadget pouches...but best of all, you'll be confident with zips. Bookings HERE. The very last workshop in my Helen St Studio is a Hat in a Day class. 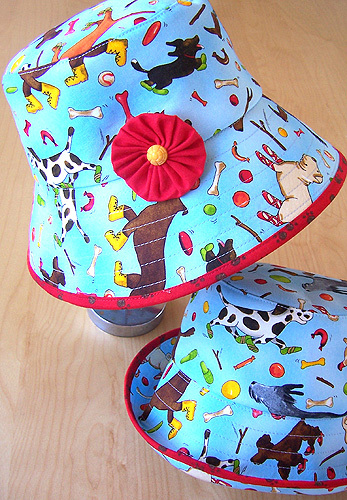 For anyone who doesn't know, I made fabric hats professionally for nearly 15 years, and know every trick in the book about doing it well and quickly (time is money, and all that...). This is where I show you how! You'll go home with a finished hat and the confidence to whip up as many as you want to, for all seasons and for all the family. There is one place left in this class, and just to be tidy, I'd like to fill it as soon as possible. I'm offering a free pattern of your choice (value up to $24.20) if you book this place. Booking (singular) HERE. 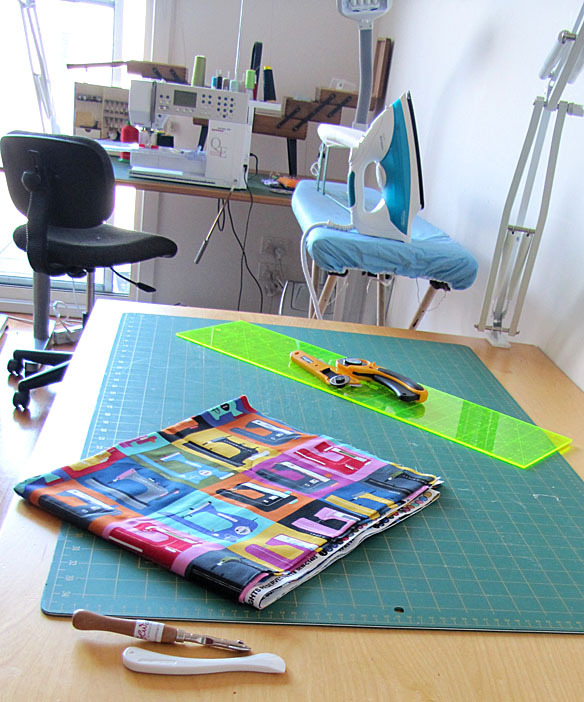 I'll also be teaching at the CAE - a (customised/tarted up) Purse frame class and a Beginner's Sewing course. 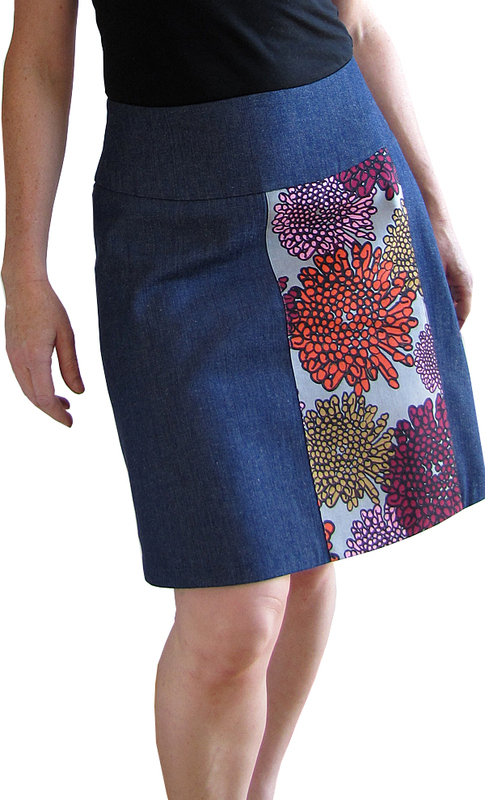 And at Kimono House, I'll be teaching how to make my A-Line Skirt (which you'll make in stunning Japanese fabric). And there's another fun Trapeze Line Top class scheduled at Kimono House. Again, you get to work with gorgeous Japanese fabrics.... although I've heard tale of some people stepping out to big parties wearing the rough toile (muslin) they made first (no idea where they got that idea from...). There is more in the pipeline - including classes at Bargain Box in Mornington. 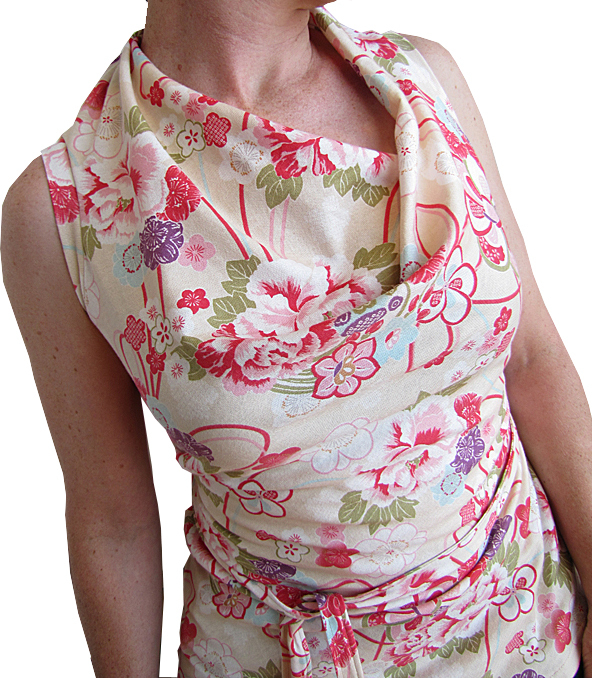 Don't forget Addicted to Fabric in Canberra, if you're in the ACT or NSW. And the Tween Seasons Coat....? I'm still sampling and tweaking things here, so you have a little more time to go into the giveaway. In the meantime, did you see Karen's adorable version of the All Seasons Coat...? lucky people going to your classes! I need to make one of those belts, my friend ended up with some grosgrain ribbon tied in a bow to keep her jeans up! I know some successful slimmers just now. Wow you are going to be a busy(ier!) lady! I love that sewing machine fabric - was just eyeing it off at another sewing friend's place a few days ago. I'm cut, cut, cutting today - fun! Nikki, one door closes another opens old saying but true you are such a positive person. Space at GJ's is great. Best wish for wherever your new move takes you.